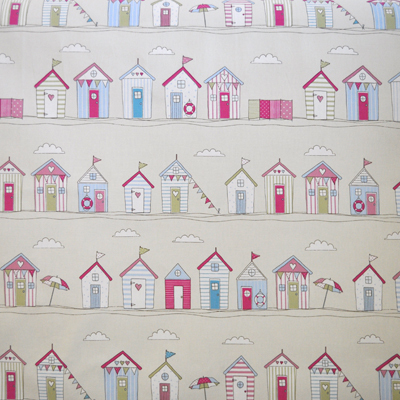 Beachcomber stripe design fabric in Sorbet. 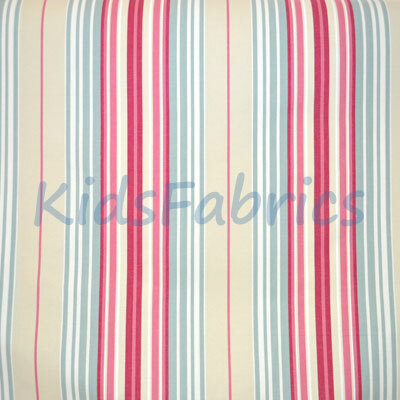 Fuchsia, aqua and natural colour stripes of varying widths. 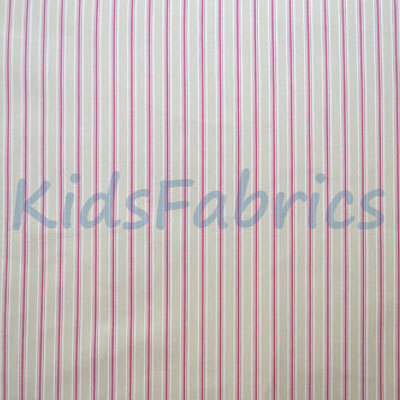 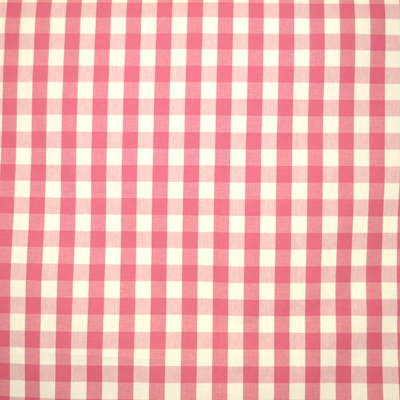 Excellent quality woven ticking style cotton.